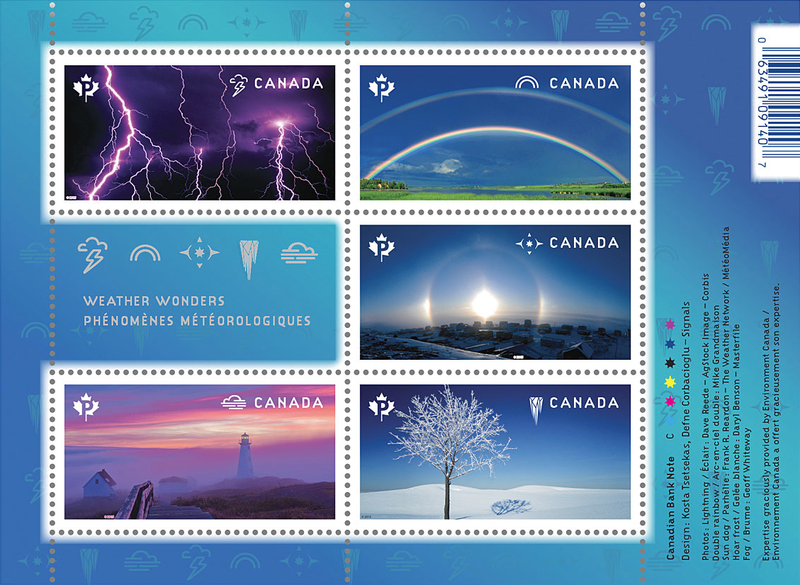 The five weather stamps, Weather Wonders, issued to coincide with the 175th anniversary of continuous weather observing in Canada, feature weather phenomena in all their photographic splendor. 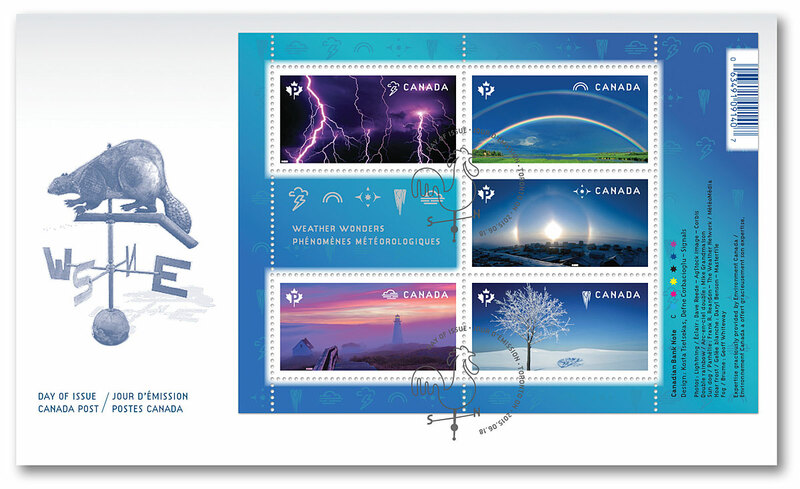 From brilliant flashes of lightning to crystal-clear ice veneers, the images on these stamps showcase the incredible variety of weather we experience in Canada – all thanks to the photographers who braved the elements to capture these meteorological marvels. The five photographs come from every corner of the country. Armed with these spectacular visuals, Kosta Tsetsekas and Defne Corbacioglu designed a set of stamps that are tied together seamlessly. They used themed icons as a nod to the long history of weather iconography – the small suns, clouds and raindrops you see in your daily weather forecast. 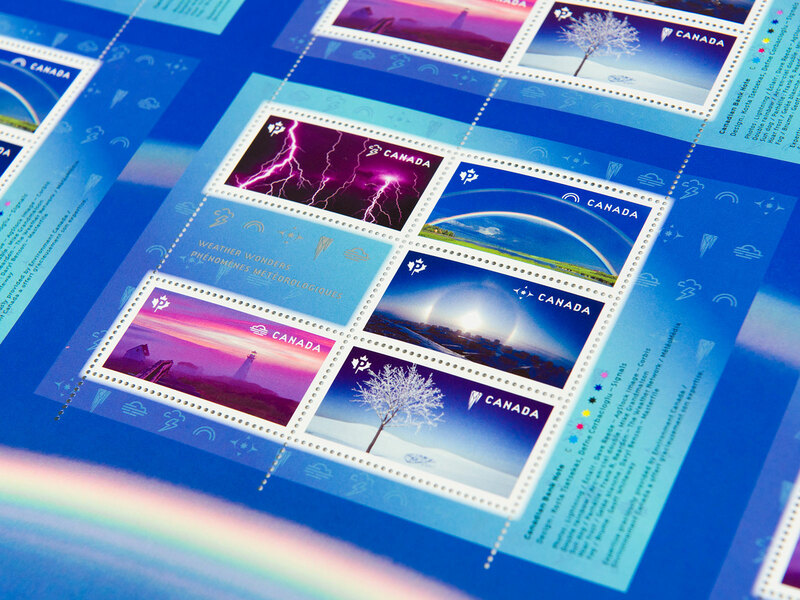 The icons add spice to the stamps without clouding the stunning photography. 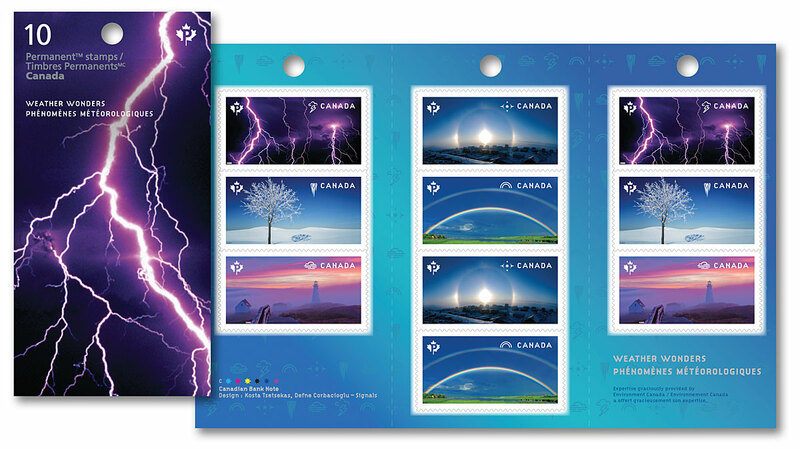 The souvenir sheet of five stamps measures 130 mm by 95 mm. 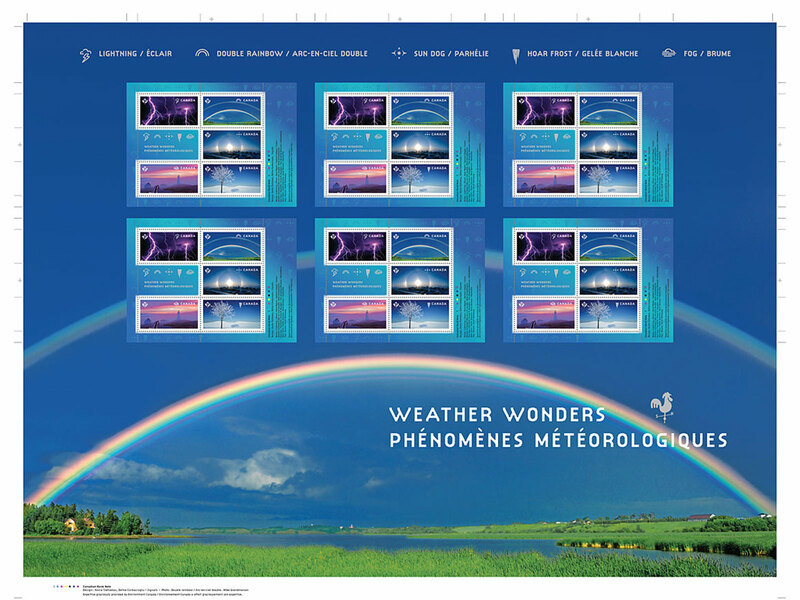 The uncut press sheet of six souvenir sheets measures 616 mm by 483 mm and features the image of the double rainbow. The Official First Day Cover features the souvenir sheet and measures 191 mm by 113 mm. The cancellation site is Toronto, chosen because it was the location of Canada’s first weather observatory, which marks its 175th anniversary this year.